The board of directors of Idea approved the merger, in which Vodafone will initially hold 45.1 percent stake and Idea 26 percent. It is anticipated that Idea’s stake will be increased gradually. It is the consolidation phase for the debt-ridden Indian Telecom industry. Bharti Airtel has already bought India assets of Telenor and according to reliable sources Reliance Communication, Aircel, Tata Teleservices and MTS are in talks for the merger. Hopefully, this phase of consolidations in the telecom sector will lead to infrastructure & vital resources being pooled, which shall enhance positive customer experience. It is expected that the consolidation will leave only three big companies in the industry, resulting in bigger revenues and better balance sheets for all of them. On the flip side, the resulting duplication of resources across the country from Vodafone-Idea merger might enforce job cuts too. While Vodafone CEO Vittorio Colao indicated more opportunities for his India staff as an outcome of the merger; KM Birla, the chairman of the merged entity, hinted at possible downsizing. India, the world’s second largest telecom market after China (by subscribers), witnessed a major upheaval due to a spectacular move by Reliance Jio Infocomm in September 2016. Vodafone having written down five-and-a-half billion dollars for its Indian operations already was looking for a partner to strengthen its position and debt-laden Idea Cellular was a good potential prospect to explore a merger. 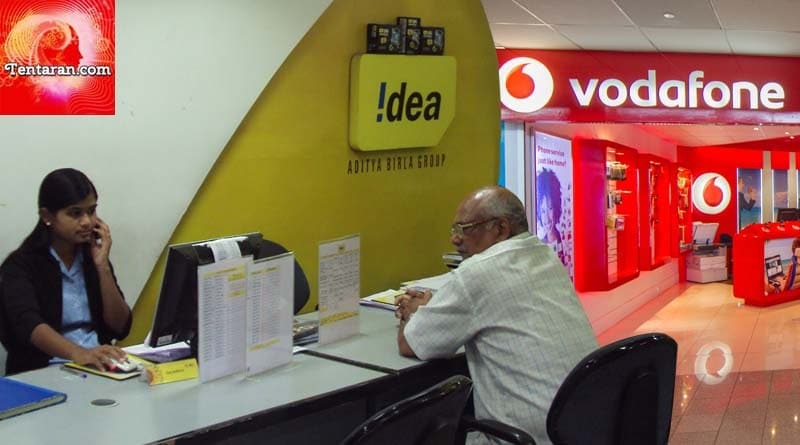 As a result of the merger, Idea would reduce its debt besides allowing Vodafone to participate in an entity which is already listed on the Indian bourses. As a matter of record, Gross revenue and Spectrum caps rendered the merger with Bharti impossible. The merged entity formed by Vodafone and Idea shall shift the telecom industry’s pecking order, the joint entity will become the largest telco with almost 400 million customers, 35 percent subscriber market share and 41 percent revenue market share. In a joint statement, Vodafone and Idea said that the merger will also help reduce the net debt on the British telecom giant’s books by a whopping Rs 55,200 crore. Considerable synergies are expected to result in a win-win situation for both the entities. ← Want to know The Baahubali’s Fitness Regime? Here it is!